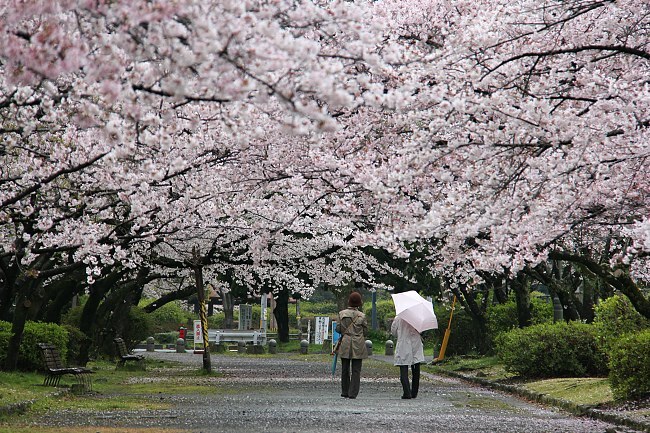 Today I headed to Fukuoka Prefecture for a last cherry blossom report from Kyushu this year. 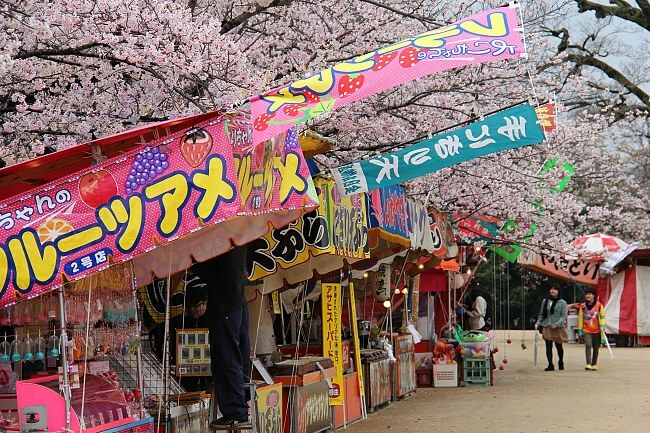 I visited one representative hanami spot each in the prefecture's two largest cities, Fukuoka and Kitakyushu. 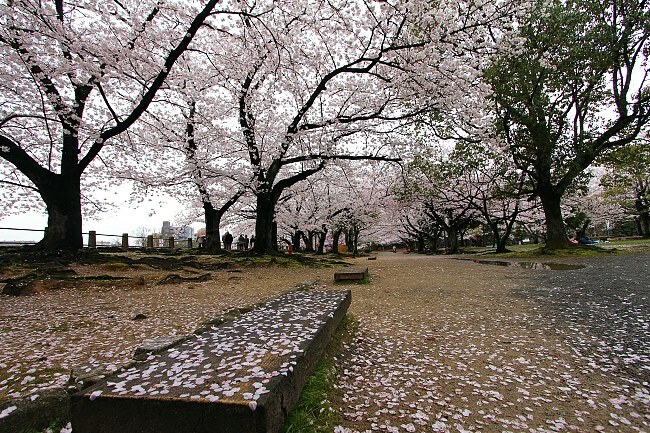 In Fukuoka, I dropped by Maizuru Park, which is my personal favorite among the city's cherry blossom spots because of its pleasant greenery and special setting among the ruined walls of the former Fukuoka Castle. 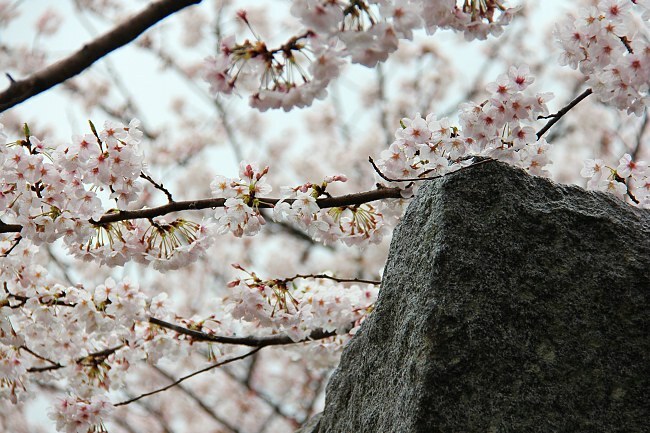 Scott visited the park six days ago when the trees were on the verge of reaching full bloom. 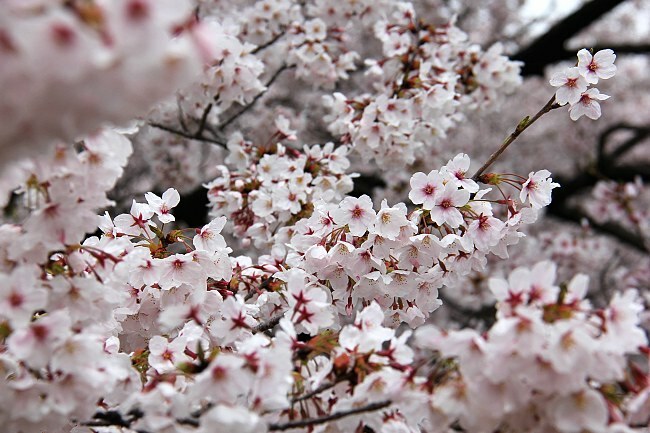 Today, the trees were on the verge of passing beyond full bloom, as many of them started to drop their first petals. 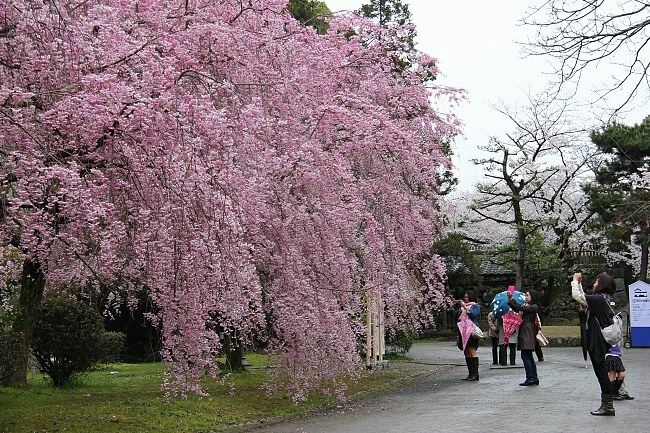 Overall, however, the season was still at its peak, and most trees still stood at full bloom. 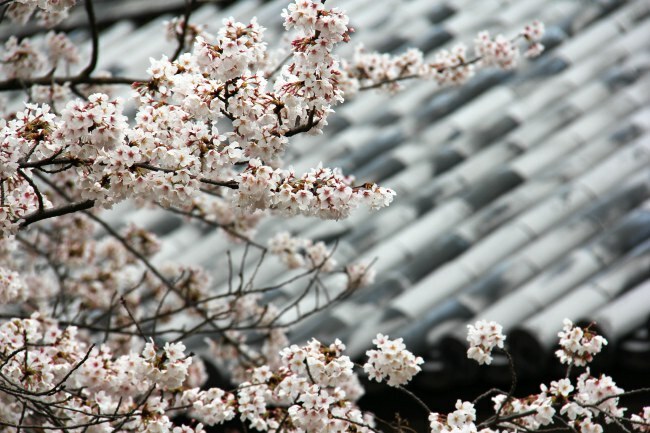 If the coming days are not too windy, enough petals may hang on to still provide nice hanami conditions on the upcoming weekend. 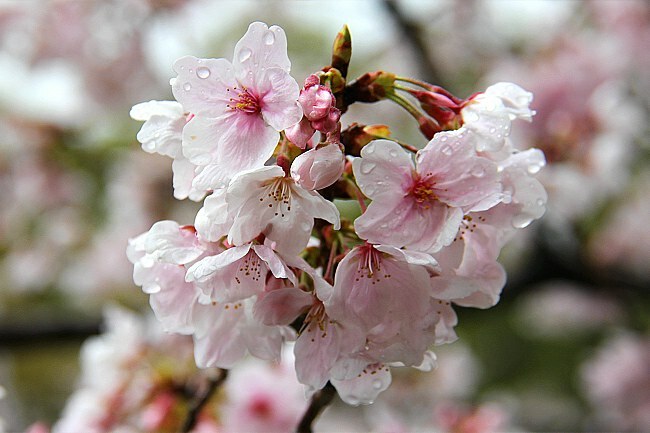 The park's cherry blossom festival continues through March 31 with illuminations from 18:00 to 22:00. 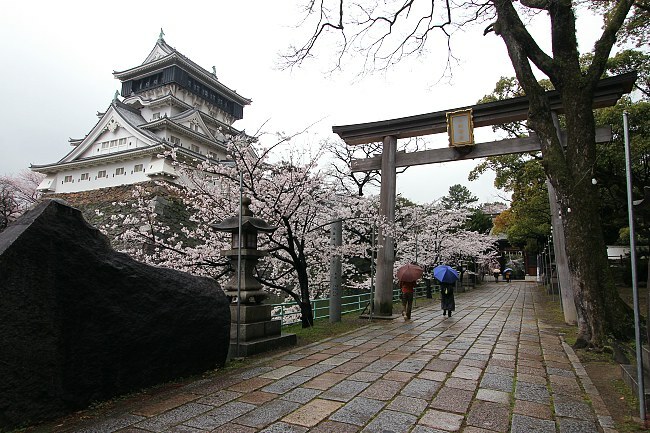 A 15 minute shinkansen ride east of Fukuoka lies the prefecture's second largest city, Kitakyushu. 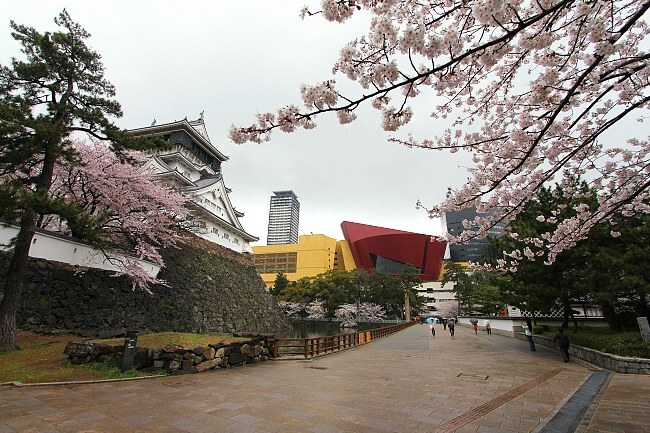 One of the city's best known hanami spots is Katsuyama Park which contains Kokura Castle and is reached in a 15-20 minute walk from Kokura Station, Kitakyushu's shinkansen station. 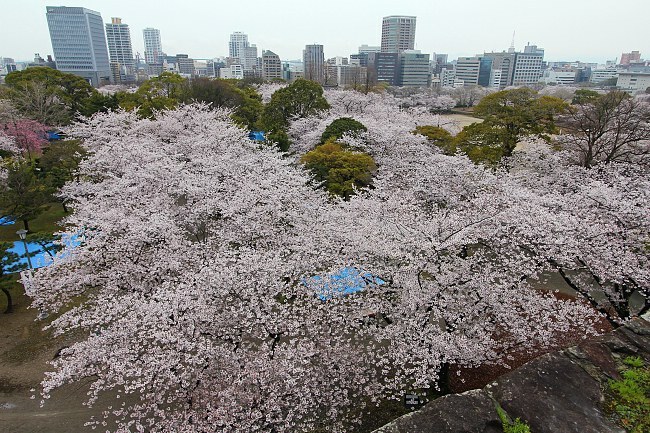 About 300 trees are found on the grounds of Kokura Castle. 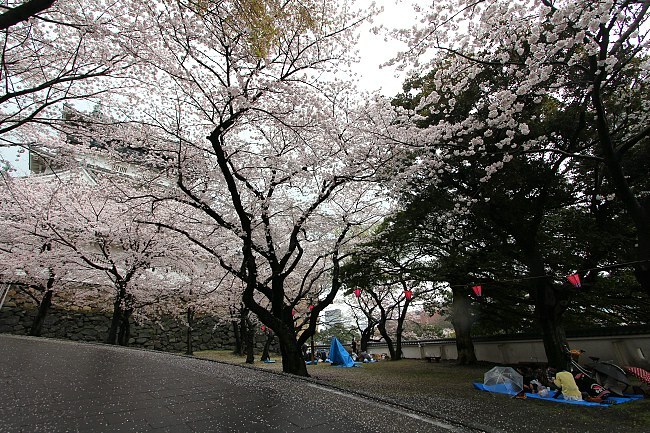 The blossoms' condition was quite similar to those at Fukuoka's Maizuru Park. 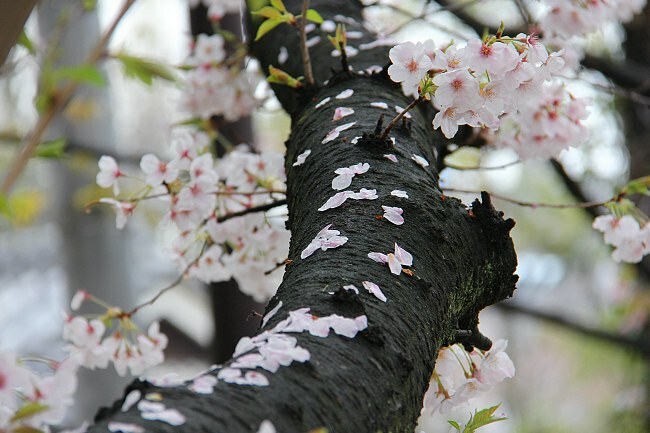 While most of the trees stood still at full bloom, the falling of the petals has visibly started in some areas of the park. 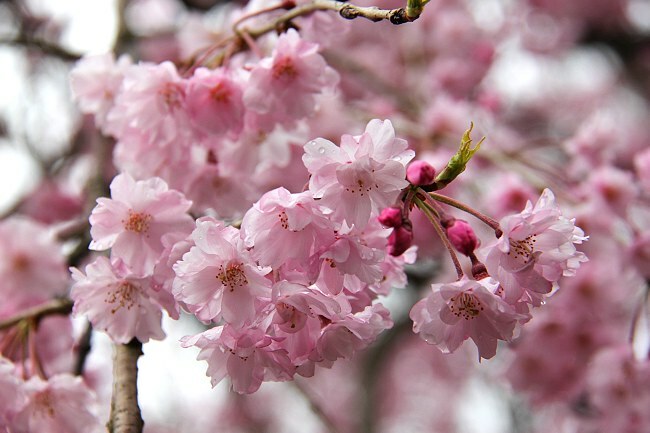 Nightly illuminations of the trees continue until April 7 from 18:45 to 22:00. 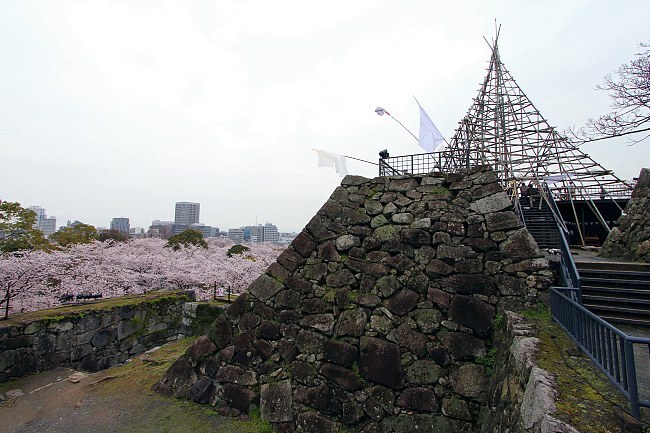 Kokura Castle is a ferro-concrete reconstruction from the 1950s, as the original tower burned down in a fire in 1837. The interior houses a museum on its lower floors (no English) and an observation deck on its top floor. 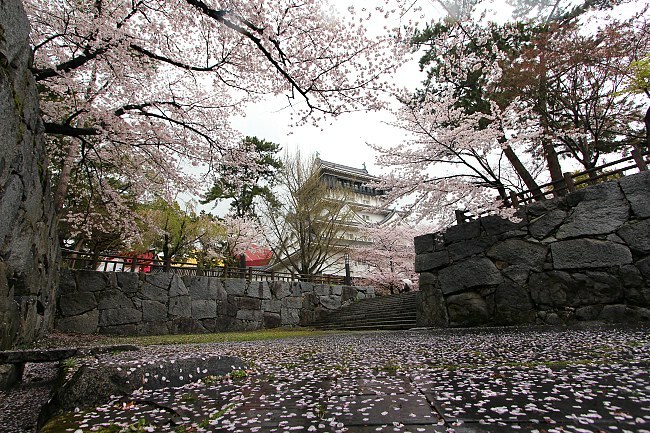 More recently in the 1990s, the castle's garden was restored, but it does not feature many cherry trees.